These are the 23 most beautiful abandoned places in the world that should be added to your bucket list right away, before they go extinct. Although this ship has a floating forest growing over it that adds life to it, it is actually a ship graveyard. This 1140-tonne steel beast was built in the UK in 1911 and was registered in Sydney in 1912 but after it's retirement in 1972, it was sent to a ship-breaking yard, the Homebush Bay and that has been its permanent home ever since. An ambitious retired independent oil producer Bob Lee built this home as an ambitious DIY project in 1980. This home was Lee's daughter's permanent residence up until 1993 when Hurricane Andrew occurred. Although the hurricane didn't damage the house much, the family shifted out and their visits to this house went down every year. This temple, which was earlier Hindu that subsequently became a Buddhist temple was built in the first half of the 12th century. Since 1990, this temple saw a massive increase in tourism and it has also been listed in World Wonder list but nevertheless, it stays abandoned for most part of the year. This castle was built in 1385 and its possession was passed through several generations until the line of its owners became extinct and a new king was appointed in 1483. It only became open to public in 1925 after Lord Curzon's death. But, this castle remains unseen an unknown for so many of us. This island was originally settled in 1600's and it was once inhabited by watermen and farmers. However, it was a marshy, rapidly eroding island and its last house that was built in 1888 collapsed in 2010. This is one of the 505 uninhabited islands in Nagasaki Prefecture. The island saw population between 1887 and 1974 as a coal mining facility. As petroleum replaced coal in Japan around 1960's, such coal mines began shutting down and Hashima fell in the same category. This park made with such dexterity, was a failed theme park ever since it opened in 1997. It shut down in 2001 after the bank, Niigata Chuo Bank, that supported Gulliver's kingdom financially, drowned into a sea of horrific non-performing loans. This place is a picturesque area located near Panvel in Mumbai, India. Located at a height of 2300 feet, it is a relatively difficult trek for visitors. The fort was built for a queen named Kalavantin. However, the steps leading to the fort have been cut into the rock face of the hill. Thus, it remains one of the abandoned places in the world. Discovered in 1908 by a worker who found diamond in this area, it grew to be a very small but rich mining village but it went abandoned in the aftermath of the first world war in 1954. The Lawndale came alive way back in 1927 and it presented stage and screen double-features. Unfortunately, this beauty became uninhabited in early 2000s and is now used as a storage space for hotel furniture. North Brother island was first employed as a quarantine centre in 1885. Between 1885 and late 1930's it was meant to keep patients from the Riverside hospital in isolation. Now, it is an uninhabited bird sanctuary. Lana Sator, a russian blogger, found her way to sneak into this rocket factory, which is one of NPO Energomash's huge factories and took photographs of its insides. She sneaked in easily by jumping off the fence one fine day because there was no security or guards to stop her like any other abandoned placed. She has been threatened by the Russian government ever since she has shared these photos online. The construction of this park was originally proposed by a Thailand based property developer and it was designed to be the largest amusement park in Asia by covering 120 acres of land. However, its construction had to be stopped mid-way in 1998 because of financial problems with local officials. Buzludzha monument was built in 1981 to commemorate serious events that took place in Bulgaria in 1891. However, the Bulgarian government stopped looking after it in the past few year, which led to its disuse for so many years. Pegasus is a blue ice runway in Antarctica, which is capable of handling wheeled aircrafts all year round. This runway was named after Pegasus, a C-121 Lockheed Constellation, which is still visible on the field after crashing in bad weather in 1970. The good part is nobody on board was injured after the crash. This aircraft remains buried in that land untouched. This monastery was built in 1480. Today, it is a place hidden somewhere in Germany's black forest. This place was know as "the Valley of the mills" and was used for grinding wheat since the beginning of the 900's. However, the creation of Tasso square since 1866 determined the abandonment of this area. The town of Czestochowa itself isn't a very known place to people, it's only know for religious pilgrimages. Therefore, the train enthusiasts have no idea that a place like this even exists. Such blade mills were used for sharpening newly fabricated blades such as swords and knives. Although such mills existed in the 17th and 18th centuries in Birmingham and other places, this mill stopped working long before its work even started. This castle, also know as "noisy castle" (or Château de Noisy in french) was built it 1866. It was used as a facility for children up until 1980 but it has remained empty ever since 1991. 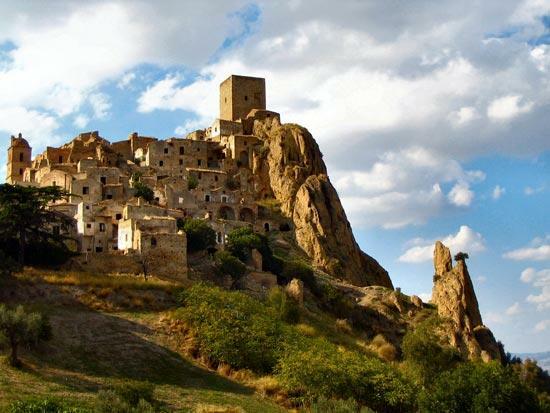 This is a medieval village, which has typical hill towns in the region.Tombs have been found in this region dating way back to the 8th century. Earthquakes, landslides, and a lack of fertile farming land led to the unfortunate abandonment of this village. 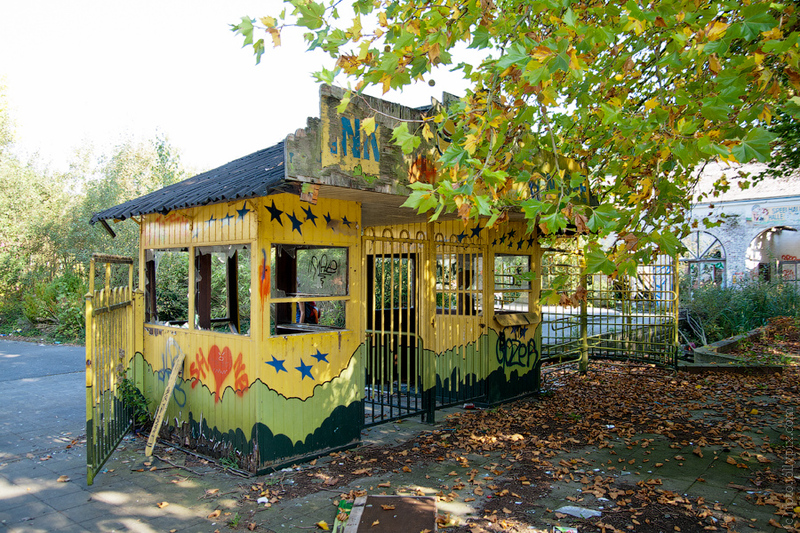 Dadipark was a recreational attraction in 1950's until it shut down in 2002. Unfortunately, a boy lost his arm during a water ride in 2000. After this horrific incident, the safety of the rides became questionable and so it went abandoned. This hut was founded recently in 1978, but remains abandoned. Although this park includes an area of 210 square kilometres, it has remained abandoned ever since it was built.